The story of this week's episode is that Jon had a simple question for Stan that he texted on a Sunday evening after a google search failed him. The question went something like this: "Top ten things to look at when your Realtor shows you houses.... go!" I (Jon) expected a list! 10 Things! But there's no such thing as a simple question when it comes to Stan. He convinces me to dig up the secondary microphone in the home office and record after 8pm on a Sunday night. This week we talk about Milkshakes! Stan's Portillo's milkshake to be exact. He had an interesting experience. He tells it better than I do. If you want to hear us talk about milkshakes for an abnormal amount of time, you won't want to miss this episode! Stan kicks off the episode talking about his day trip to Fort Wayne and how there are now places to eat. We follow up on our milkshake discussion with some milkshake recommendations and milkshakes to avoid. Finally the Lemon turns sour and lets out his anger against Twitter and their killing of his favorite Twitter apps. 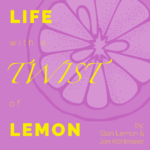 This week we release episode 5 of the Life with a Twist of Lemon podcast. Stan and I recently saw Ant Man and the Wasp. So we take a look at the movie itself and its place in the Marvel Cinematic Universe. You should probably watch the movie first if you don't want it spoiled. Episode 4 – Stan’s back from Disney World! 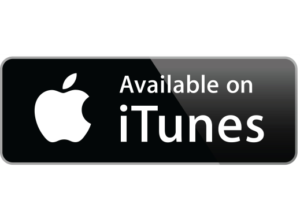 This week Stan & Jon give their opinion on the New Backstreet Boys song, talk Stan's new Beats headphones, and his family's trip to Disney World, hear about Stan's favorite rides, food, and what he plans to do differently for next time.